There I was…Standing in an endless queue of proud Egyptians from all walks of life, waiting eagerly to take a stand and have a say in my country’s future! The energy was beyond description, the excitement, the rush of the moment…. Eyes were glowing with anticipation of how the future of our beloved motherland will unfold. We have waited for so long for that day to come! Finally, we are having a “fair” presidential election that the whole world is raving about! On May 23rd of 2012, Egypt made history! But before I drift away in the future tense, let’s have a flashback to appreciate why this moment is so special…. Unlike typical Egyptians, I was exposed to the Western culture at an early age. In fact, I was in Toronto, Canada when George W. Bush the son was reelected in 2004. I saw how the two candidates, Bush and Kerry, were so close in voting rates and that Bush ended up winning by less than 51%! One year later, we had a “fabricated!” presidential elections in Egypt, during which a whopping10 million U.S. Dollars were blown away to end up with Mubarak winning at a staggering 88%! I guess I would be speaking on behalf of the wide majority of Egyptians when I say this: Before Jan 25th, I was never involved in any political activity whatsoever! In fact, the election days were the days everyone stayed at home because the results were known beforehand. Thus, any kind of involvement seemed utterly pointless! 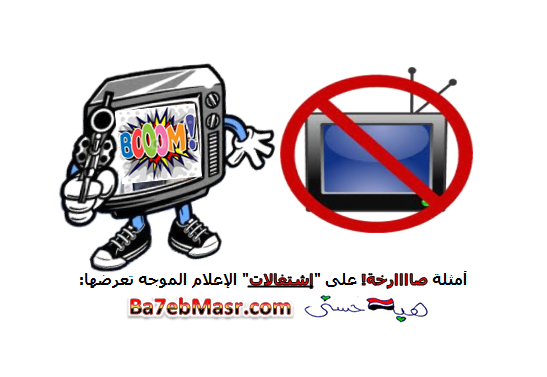 After few days of uncertainty (until January 28th), it was unanimous; Egyptians shouted out loud: Enough is enough! In the midst of turmoil and uncertainty, we knew deep down in our hearts that things will never be the same! Call it faith…Call it intuition… You name it! Last year, exactly on February 10th of 2012, I wrote an article titled Egypt’s Revolt Eye Witness: The Egyptian Avalanche Has Begun….I Double Dare You to Stop The Flood! Something so profound has changed in every Egyptian’s conscious which I illustrated in the cartoon above. Again, allow me to speak on behalf of all Egyptians: I was transformed from someone who is politically indifferent to a deeply involved citizen. 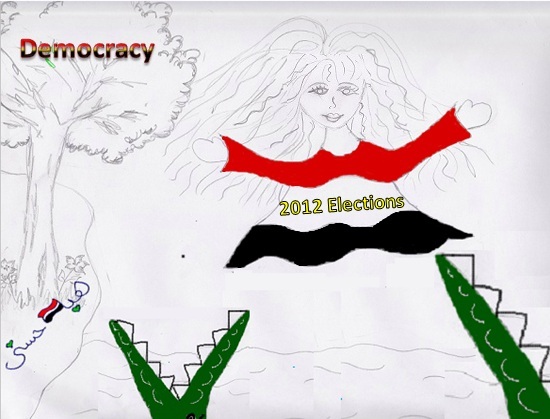 Egypt’s 2012 Presidential Elections : The Day We Made History! Is our latest presidential elections pure perfection? No! Do the initial results reflect Jan. 25th spirit? Again, no! Still, we have come a long way. In fact, I am so proud that the participation rate was close to 50% of eligible voters which is higher than France! Also, the diversity of votes was refreshing. It showed that Egyptians with different ideologies are starting to blossom and create a rich political mosaic. Isn’t that what real democracy is all about? More than 50% of votes were in favor of candidates who represented the hopes and aspirations of Jan 25th revolt. However, the fact that more than 3 of them competed for presidency, votes were diluted and we ended up with other candidates gaining highest votes. But we live we learn! Recapping everything that happened in the past 14 months, we deserve to give ourselves a huge tab on the shoulder. We took a major leap in the right direction but we are not there yet. We still have some obstacles to overcome to reach full democracy. That’s exactly what I tried to express in the drawing below. Finally, I was so thrilled to see people from the United States and other Western countries cheering for Egypt in Tahrir square from as early as February 2011. فيديو أمثلة صارخة على “إشتغالات” الإعلام الموجه الحدق يفهم! • من يترشح للرئاسة من حق الشعب أن يعرف إن كلن لديه عسر هضم! • لا داعى للتباهى بالعافية لإن السليم ممكن يمرض! رجاء مشاهدة الفيديوهين قبل إكمال هذا الفيديو لتمام الفائدة مما أود أن أطرحه. • فى تناقض واضح بينهم لكن محدش كدب. كل واحد قدم أمثلة تخدم وجهة نظره. • مشكتلى فى طرح السيد المسلمانى مع كامل إحترامى له أنه لا يعقل أنه رغم سعة إطلاعه يجهل أن الدول الأجنبية تعطى معلومات تفصيلية عن صحة المرشحين للشعب. فلماذا لم يذكر هذه المعلومة لنا؟ هل لإنه تعمد أن “يتفه” من مسألة الحالة الصحية للرئيس لصاح مرشح بعينه؟ الحدق يفهم!